Applications are invited from qualified candidates for admission into the following programmes at the University of Lagos (UNILAG) which will be offered by Open and Distance Learning mode. 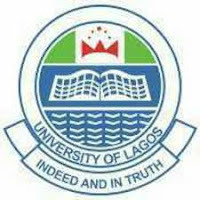 UNILAG DLI Admission Method of Admission. Step 3: Applicant is given online access to the Application Form at www.dli.unilag.edu.ng and fills in all necessary information, submits and prints a copy. (Applicant is also given the opportunity to save Application Form and later complete the Form in case certain information are not readily available). Applicants for Distance Learning Institute programme shall not be less than 21 years of age by 31st December, 2016. All completed application forms are to be submitted on or before 18th August, 2017.